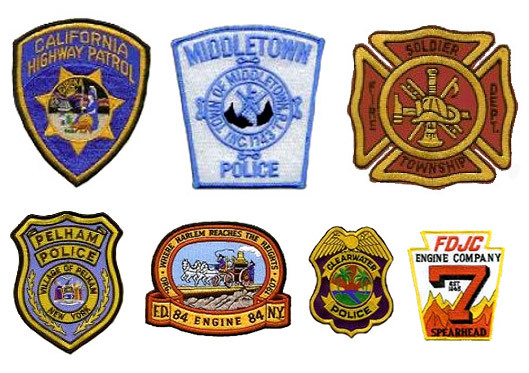 No government or military uniform is complete without custom embroidered patches. People usually don't notice the intricate detail of these patches, even though they are usually sown onto the shoulder or chest of a uniform. These patches range current to retired navel officers, as well as people working for the EPA, FDA, or ATF. These patches are specific to the branch of government, and even within those branches there are varying patch designs. Out of all the different branches of government, the military has some of the most beautifully designed patches with rich histories. The Navy is a great example. For the military, patches are used to signify branch of military, unit, and position within that unit. Working on a submarine requires many different people fulfilling many different rolls. Patches are created for each of these people. The over lying design might be the same, but some of the words and images may vary. You can find custom embroider patched for United Stated Submariners, and you can choose if you want one for a interior communications electrician, a missile technician, or a hospital corpsman. An engineman patch has a gear in the middle, where as a communications specialist will have a globe and a phone. One of the more interesting navel patches is the First Navy Jack. The First Navy Jack started as flag that was flown during the nations bicentennial year (1976). This flag replaced the tradition 50 stars flag for a year. The image has 7 white stripes and 6 red stripes (just like the traditional flag); however, instead of a blue box with fifty stars there is a yellow and read snake with the words "Don't Tread on Me." This flag was eventually transformed into a patch, but a patch that only select few, in certain situations, could wear. The wears of the patch must put them on flight suits and accepted variants of a NWU (Navy Working Uniform). This includes sailors and officers wearing an army combat suits. They must be serving within army units, and it is also at the discretion of the squad commander. There is also an exception for people working with the ISAF. They may put the patch on their Army Combat Suit. It must be placed on the right arm, and it also must be below the traditional flag of the United States. Within the military, these rule are very strict.